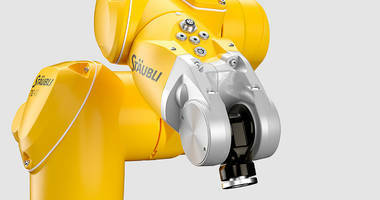 Duncan, SC - A global leader in automation technology, Stäubli has announced plans to exhibit at AUTOMATE 2013 in Booth 668. 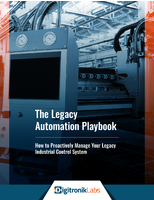 Billed as "North America's Broadest Automation Event," AUTOMATE 2013 will take place January 21 - 24, 2013 at McCormick Place in Chicago. The biannual AUTOMATE conference offers a unique opportunity to discover the latest automation solutions for a wide range of industries, making it an ideal showcase for Stäubli. An automation pioneer with a history spanning more than 100 years, Stäubli develops automation technologies for every industry - plastics, automotive, energy, life sciences, food, transportation and many others - continually setting new standards in speed, efficiency and productivity. Stäubli's Robotics and Connectors Divisions, along with the Stäubli Group company Multi-Contact, which specializes in connector systems for power generation, will each present advanced automation solutions at AUTOMATE 2013. The Robotics Division will demonstrate its TP80 Fast Picker, a high-speed robot capable of handling small parts with absolute precision at 200 picks per minute. 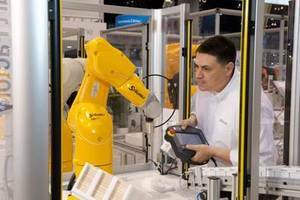 The robotics showcase will also include demonstrations of Stäubli's TX200 robot with tool changers and, in an interactive sequence, the TX60L and TX40 robots will simulate the production of a pneumatic connector. One robot will tend a mock CNC machine and perform vision inspections. When a part fails, it will hand it off to the second robot, which will test the part for quality and refine it. Stäubli's Connectors Division will demonstrate how its robotic tool changers can be used to minimize user intervention and optimize cycle times. It will also show customized multi-coupling systems that allow users to define all parameters of an application for personalized solutions. Stäubli's modular quick release couplings for fluids and gases will also be on display. Multi-Contact will present its highly versatile CombiTac modular connection system, which provides fast, centralized connection of all energy circuits with a wide range of configuration possibilities. Multi-Contact will also exhibit Robifix, a primary circuit connector for welding robots that greatly simplifies the integration of power supplies into robotic systems. Stäubli technology experts will be on hand to answer questions and help attendees make the most of the event. There will also be giveaways, delivered by - what else - an interactive robot! 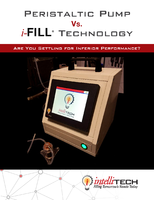 The show is free, and attendees are invited to register at www.automate2013.com. Stäubli is a mechatronics solutions provider with three dedicated divisions: Robotics, Connectors and Textile Machinery. With a workforce of 4000, Stäubli has a presence in 25 countries and agents in 50 countries around the world. For more information, visit www.stäubli.com.